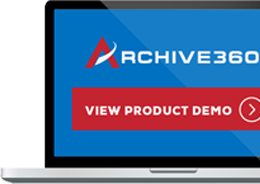 NEW YORK – September 25, 2018 – Archive360®, a leading provider of intelligent information management solutions, today announced it is among the first to deliver full support for Microsoft Azure Data Box. In addition, Archive360 announced it is also among the first to be added to the Microsoft Azure Data Box Partner Program. Archive360’s Archive2Azure™ clients can now enjoy easier and faster data migration to Azure, in the same cost effective, secure, legally and regulatory compliant manner they have come to depend on from Archive360. 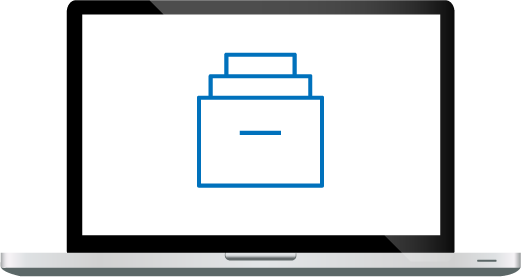 The Azure Data Box provides a more secure method for quick and simple transfer of data to Azure. Customers can easily connect it to their network, and then load data onto the Data Box using standard NAS protocols. Data is automatically protected using 256-AES encryption. The Data Box is then returned to the Azure Data Center to be uploaded to Azure, then the device is securely erased. The Archive2Azure intelligent information management and archiving platform enables organizations of all sizes across virtually every industry vertical, to capture, extend, onboard and manage numerous types of structured and unstructured data into their Microsoft Cloud (Microsoft Office 365 and Azure) in a manner that meets regulatory, legal and business mandates in a legally defensible and compliant manner. Archive2Azure uniquely addresses today’s key requirements, which include ensuring all data is stored in its original format, is WORM compliant when needed, is secure and can be found and retrieved quickly. Archive2Azure enables all customer data to be maintained in the customer’s own Azure tenancy, retention/disposition policies to be easily assigned, chain of custody to be maintained, and powerful audit and reporting for peace of mind, and much more.